E-signatures have truly revolutionized the way Real Estate transactions take place and have changed the way buyers, sellers, borrowers, agents, and brokers do business. On 30th June 2000, Congress passed the E-SIGN Act to change the manner in which people conducted online business transactions. 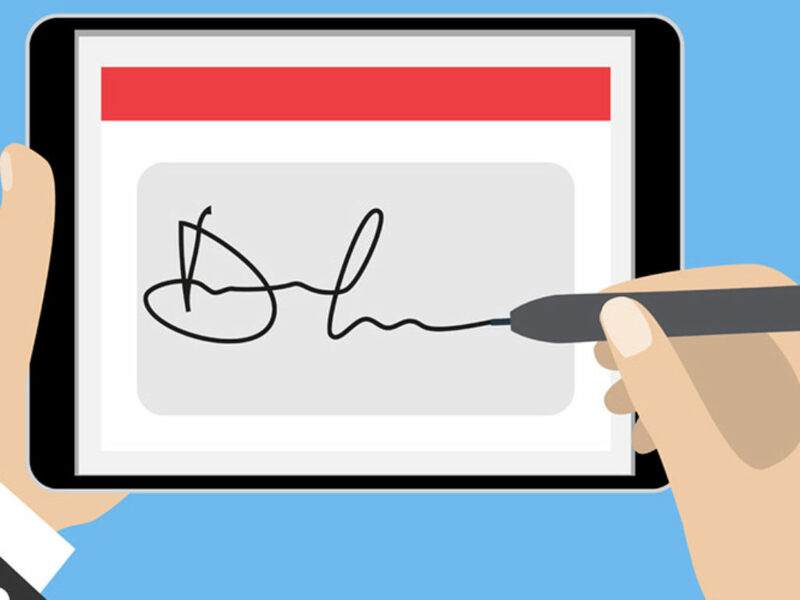 The act recognized the authenticity of E-signatures. It confirmed that signing documents online has the same legal weight just as executing them using the wet-ink signatures. The fact that e-signatures are now acceptable ways to conduct business it has made a portion of the population breathe a sigh of relief, while another portion has real apprehension both dealing with the change and using the technology. Building on the idea of security and compliance each provider of e-signature services have varying levels of security offered. Depending on your comfort level, the types and number of transactions you conduct it will be key to explore those options when choosing a software service. Be sure to check out our YouTube Channel and listen to our Managing Partners discuss the paperless environment and overall impact of technology on our industry.